We will provide detailed and actionable advice on how to best prepare the home for sale. The occupied staging consultation will encompass all interior rooms as well as outside areas-front and back, decks and patios. Utilize our buying power and design expertise by choosing among our focused “furnishings to purchase” packages; Airbnb, Corporate Rental & Short-Stay. Each purchase category has many investment levels based on the specific demographic and design aesthetic goal. When we design & specify furnishings for a soft contract space, we qualify the key elements of the project first, as there are differences between residential and contract design. We focus on our client’s end-user as this is tantamount to a successful project. The goal in this scenario is to create a space that is defined by the feeling and flavor of the how the space will be used. Spaces that are designed using residential guidelines and include furnishings that are manufactured to contract specifications, combine the necessary exact ingredients. Social elements, color palettes & current trends all come together to make the soft contract space feel great and last the expected time frame before it is necessary to refresh! A common room in a luxury condominium is designed and furnished as a family room/rec room complete with sectional sofa, wet bar, pool table and more! However, this room will have many residents using this space, eating and having fun, and it needs to withstand constant use. In this case, fabrics and furniture, carpet and certain finishes need to be of contract quality and look terrific! This is what we do! Our ESSENTIAL staging package provides beautiful, stylized stagings using our multi-million dollar assortment of furnishings and accessories. This package includes the main floor Living Room, Dining Room, Standard Kitchen and Powder Room plus the Master Bedroom and Master Bathroom. 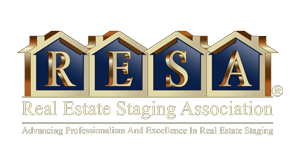 Staging these rooms is the minimum needed to sell your property in the shortest time and for the maximum price. This package is clean and focused on targeting key areas of the property to highlight your home’s best features. Starting at $2,500 for the initial staging term. Our ESSENTIAL PLUS package offers the same great staging service and standard rooms as our essentials package, plus any additional key rooms such as a Family Room, an Eat-In-Kitchen, a main level Home Office, Guest Bedrooms or the Basement. Our experienced designers will work with you to determine the best direction to take for maximum impact. Starting at $3,200 for the initial staging term. Our PREMIUM package is the optimal choice for properties who need a dose of luxury infused into the staging. These projects are unique and need a special touch in order to attract the right high-end buyer. This package utilizes our top-tier inventory and a required three-week lead time is tantamount to providing the specific staging pieces to execute a successful stage. Starting at $3,800 for the initial staging term. Our CUSTOM CURATED staging package is the quintessential choice for the property needing an elite and individualized design. Here, we offer our clients the ability to have more of a direct involvement in the staging direction. We will consult with you on desired style, finishes and overall look, then reserve specific pieces within our inventory as well as source new items that define the brand identity for your property. This package allows for a collaborative effort in order to meet strict standards & expectations. A minimum six to eight weeks lead time is necessary to provide this turnkey staging service. Please Connect with us to schedule a time to discuss your Essential, Premium or Custom Curated staging package needs.